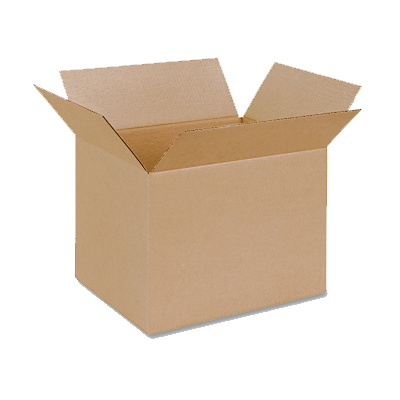 We provide sturdy cardboard boxes for students to pack in. We offer free curbside pickup & delivery on select dates. Everything is stored in our secure, climate -controlled warehouse. We’re here to answer your questions. No need to stress! Our service is completely customizable. Get started with a package to make things easy. You can add on other boxes or items that don’t fit in a box as needed. Perfect for the minimalist student! For students with a bit more stuff! Great for the minimalist student! For the student with a bit more stuff! Not everything can fit in a box. We get it. To make things simple, we have only 3 pricing tiers for non-boxed items. If you don’t see your item specifically listed, we will charge based on a similar item in size/weight. 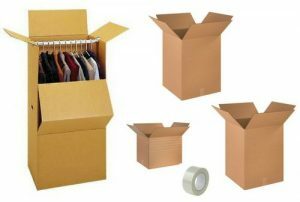 To save money, consider using a wardrobe box to pack some of these items. They are big and hold lots of stuff! If you have questions, just contact us. Items that just don’t quite fit into a normal box. They are easily carried by 1 person. Items that are bulky, heavier, or more awkward to move and store. 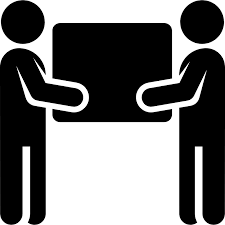 Items that need 2 people to carry like furniture or bulky items. 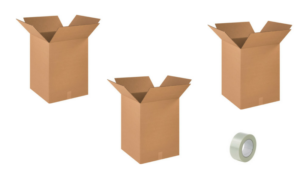 Pack your items safely in our free, sturdy boxes. There is a 50 pound weight limit that is strictly enforced. Overweight boxes incur a $25 fee per box. Pack this box full with bedding, bed foam, and other bulky items. This is a standard moving box. It’s strong and sturdy and can hold lots of stuff. This is a perfect box for books, fragile items, or small nick nacks. Includes box+tape, pickup, and UPS coordination. Pricing is all-inclusive for either the summer of study abroad term. It is not month-to-month. Price includes free pickup/delivery on select dates. You can sign up for a custom pickup if these free slots don’t work ($90 fee). Schedule is on each university’s page. Free pickup is done from the curbside of your dorm/apartment. You will need to bring items to the curb unless you use the valet option. 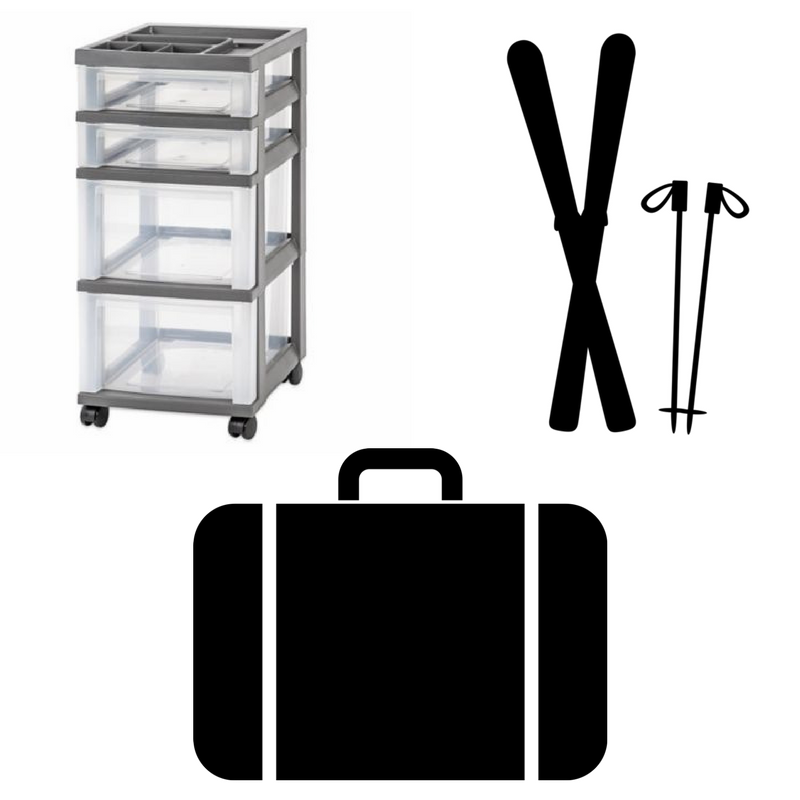 Save money using the wardrobe box for bedding, bulky items, lamps, etc. You don’t have to use it just for clothes! Mattresses must be stored in a mattress bag. We sell these for $12. Using our free boxes is usually the cheapest option. 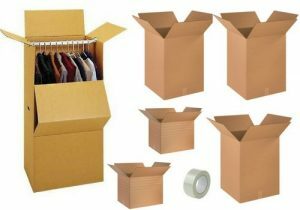 Consider using multiple wardrobe or large boxes to help save money! If your item is not specifically listed, we will charge based on a similar-sized item. Plastic totes are fragile! We HIGHLY recommend you empty these and stack them in a box. Valet Service: $70-100+ Let us do all the heavy lifting! 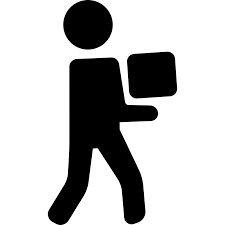 Our free pickup and delivery is from the curbside of the dorm or apartment. If you’d like us to move your items to/from your room, you need this valet service. Price varies depending on the number items. Custom Date/Time for Pickup or Delivery: $90 If the free pickup/delivery slots don’t work with your schedule, we can arrange a custom date/time. This must be scheduled in advance and is based on availability. Extra Time: $35 Our pickup and delivery windows are designed around students’ schedules. But, if we have to wait for a student who is not punctual, we will charge this fee. Overweight Box: $25 Each box is designed to hold 50lbs. That’s a lot of stuff! But, if you overpack your box, you will be charged this fee. This is strictly enforced to prevent injuries to you and us! 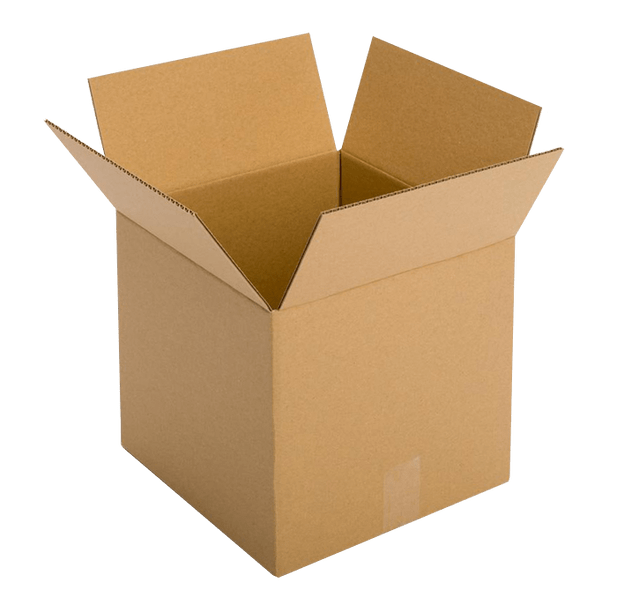 Unreturned Box: $10 If you don’t return unused boxes, we will charge for the cost of the box. Customer service is always our top priority. Contact us anytime and see our five-star reviews on Google and Yelp. We are a family and Veteran-owned small business. Our owner served in the Army for over 5 years and specialized in logistics. We provide a stress-free storage process for students and parents. We focus on this all year long so you don’t have to. Let us make storage easy for you!